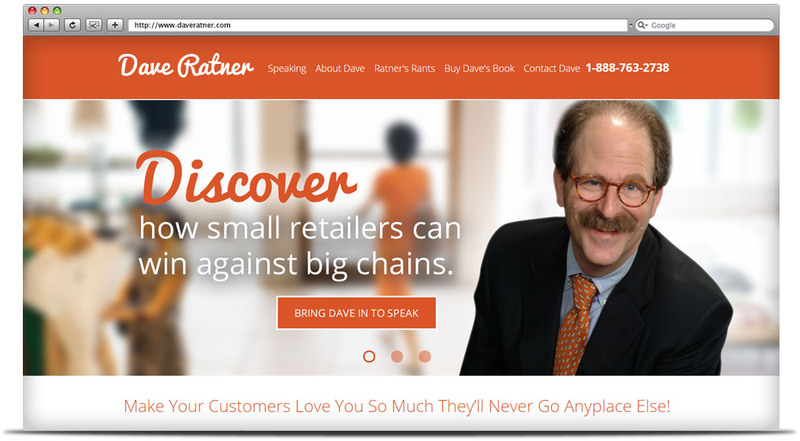 Dave Ratner has one of those great American success stories… from a humble start selling soda in an old gas station to representing the voice of small business owners before Congress! 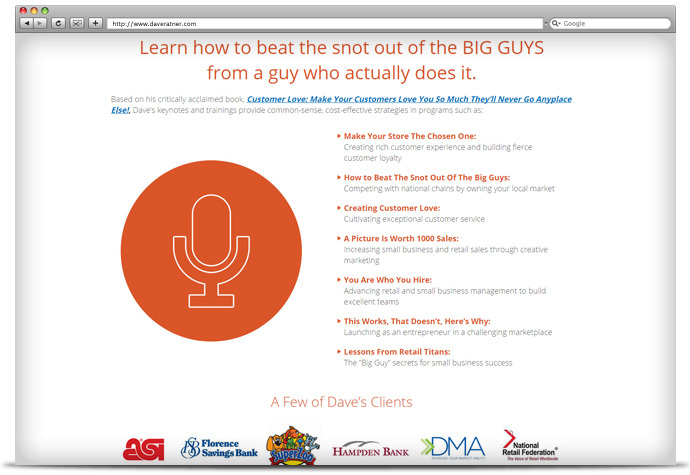 Dave is passionate about helping other small retailers compete with the big chains… and win! 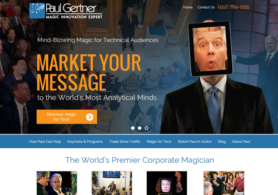 He shares his creative strategies at speaking events, in the media, and through his acclaimed book. 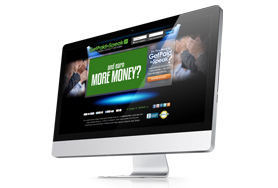 He needed a Website that would help get his message out there even more. That’s where we came in! 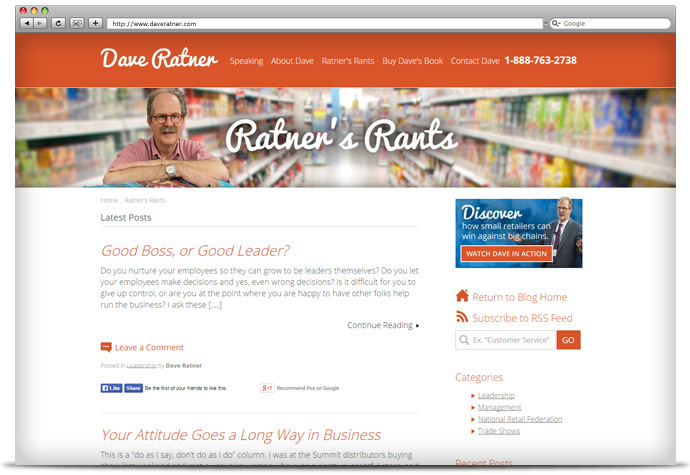 In designing Dave’s site, we wanted to capture his larger-than-life personality and trademark humor. 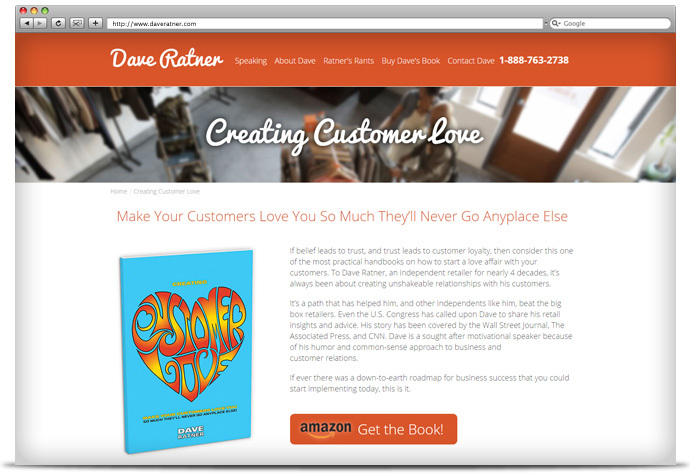 We used vibrant colors and subtle touches of cursive font, balanced with crisp images and clean lines. 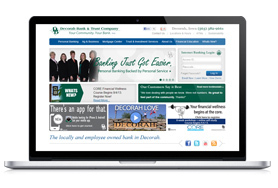 The overall look is fun, yet bold and modern. The end result? 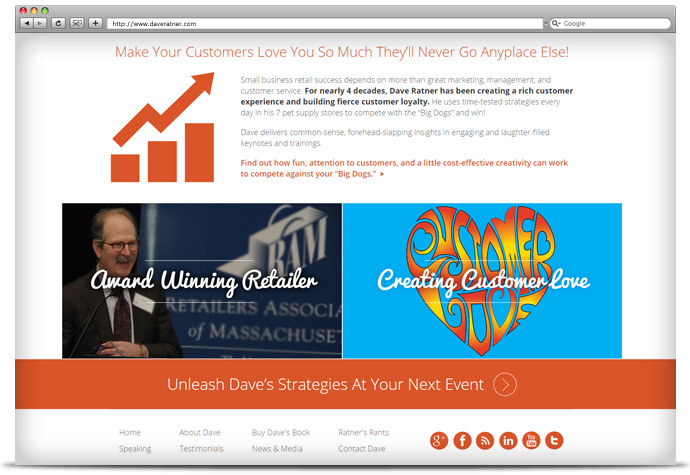 Dave’s new site gives off positive energy and an upbeat vibe, while still conveying expertise. 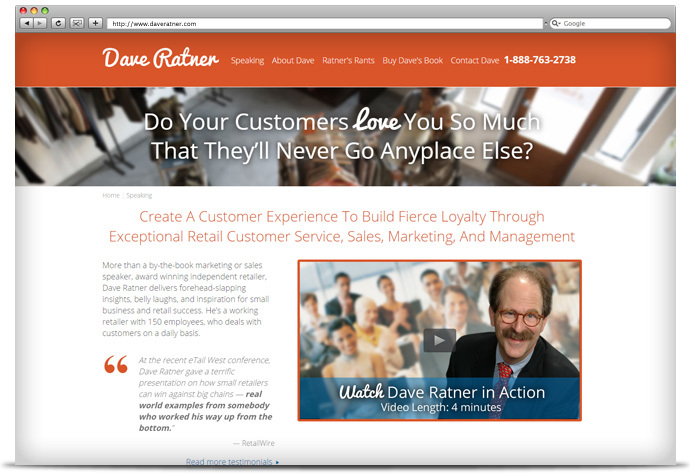 In short, the site is a great reflection of Dave Ratner himself!